2014 Annual Conference: See You in Savannah! Member Spotlight: City of Douglasville, Ga.
GMIS in My Own Words: Karen Knight, Communications Coordinator, City of Douglasville, Ga.
GMIS Illinois Brown Bag Event – Open to All to Participate Virtually! Board of Directors Nominations – NOW OPEN! 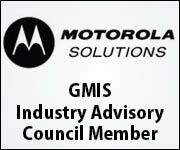 To ensure that you maintain access to all GMIS International member benefits, please be sure to renew your membership before Monday, June 30, 2014. Renewals have been emailed to your company’s representative. 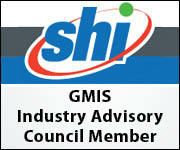 Please contact headquarters@gmis.org if you have any questions or concerns in regards to your membership. The Savannah Conference will be an amazing experience for all who attend. In addition to being against the beautiful setting of Savannah, the conference is filled with information that can be put into practice in our daily work environments. The blend of public sector and school IT professionals from around the world allows for networking and learning opportunities that are hard to come by. These opportunities make the conference worth attending in and of itself. 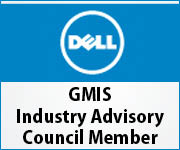 Don’t forget to upload policy related documents into the GMIS Knowledge Center by Friday, May 30! This month, the focus is on Basic Acceptable Use Policies. 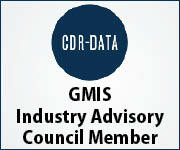 The GMIS Knowledge Center houses a wealth of information including policies, RFPs, and job descriptions. However, in order to build this resource, we need your help. Wow, it’s so hard to put into words what GMIS and GA GMIS means to me. 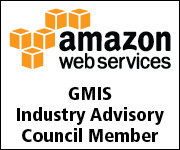 I started attending GA GMIS conferences in spring 2001. I was the city’s webmaster, and they were having sessions directed toward building websites, which were just beginning to become popular with the local governments. One of the first people I met was Clark Rainer, as it was his first conference, too. Since that time, I have called on him for information about systems he was using or how he was dealing with a project. Just one of the many friends, as I like to call them, who I have built relationships from GMIS. New Mexico held its quarterly GMIS meeting on April 23, hosted by Sandoval County in beautiful Bernalillo. The meeting was well attended and included a number of guests who were invited by current members and encouraged to join NMGMIS. Additionally, the collaboration of New Mexico’s GMIS affiliate with the local Project Management Institute chapter offered four professional development units (PDUs) to encourage attendance. The monthly IT Brown Bag event, scheduled for Thursday, May 22, is open to both members and associate/vendor members. An open venue for the sharing of ideas, the IT Brown Bag virtual meeting provides everyone who participates a unique opportunity to discuss challenges, projects and solutions. The annual election of officers to serve on the GMIS International Executive Board is now open. Individuals may nominate themselves or another member they feel would be an excellent candidate to serve on the International Board. 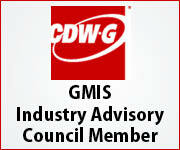 GMIS wants to recognize your agency and employee achievements! We are currently accepting nominations for the GMIS Outstanding Professional Award, GMISG2 and the GMIS Best Practices Award. Nominations close on Friday, June 20, 2014. For years, the federal government has struggled to provide sufficient oversight over its government credit card program – and a string of new audits reveals that it is still an ongoing and costly problem. About 58 percent of cyber incidents reported in the public sector were caused by government employees, according to an annual data breach report compiled by Verizon. In response to the Cover Oregon health exchange fiasco, the Beaver State has placed tighter restrictions on outsourcing IT projects. But the effort could signal the start of a national trend. Existing levels of information technology talent within government and civil society do not meet the current needs, finds a report based on dozens of interviews and secondary research. Businesses must partner with education so that IT needs are recognized by educators, and satisfied by a contemporary curriculum. It’s also crucial to promote alignment through certifications that recognize the professionalism required (and the responsibility). A $13 million grant from the U.S. Department of Labor is helping Maine's seven community colleges expand offerings in information technology. Being a great leader takes hard work and dedication, but most of the necessary skills can be learned if you're willing to put in the time and effort. Here are 13 ways to help transform any manager, in IT or beyond, into becoming a better leader. Apple, Facebook, Microsoft, and Google will tell their users more about government requests for their data, in the wake of a series of leaks exposing the NSA's secret bulk data collection programs. The Internet of Things (IoT) is the network of physical objects accessed through the Internet, as defined by technology. These objects contain sensors and other components to interact with internal states or the external environment. It's time for agencies to shift from costly manual app development to a build-once, deploy-anywhere model.